Just a few days later, I took part in a workshop in Dakar, Senegal, under the auspices of the UN Environment Programme and OzonAction. 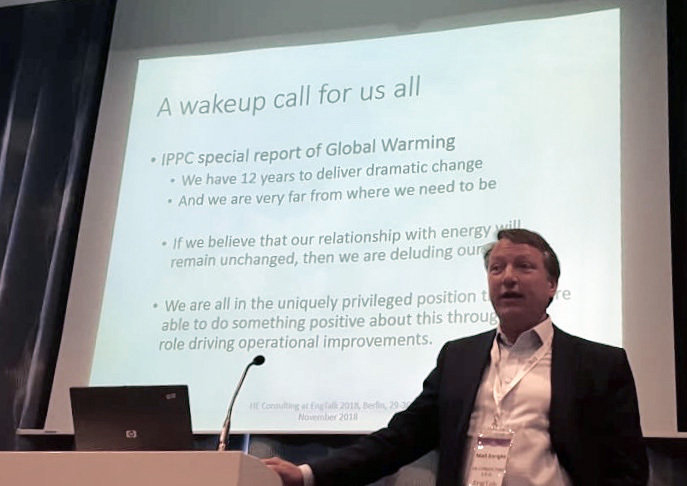 This was a workshop to introduce a tool to help countries model their F-Gas emissions, developed by Ray Gluckman and Tim Thurnham of Gluckman Consulting – with my support on Excel development – and funding from EPEE. F-Gases matter because they contribute 2% of global emissions (1), almost as much as Germany and considerably more than the total UK contribution (2), so reducing emissions of these is an important part of our efforts to tackle climate change. The Dakar workshop was attended by almost 40 participants from 16 – largely French speaking – African countries. Each country typically had a delegate drawn from senior roles in Environment Ministries and a supporting consultant, technical expert, academic or representative of national refrigeration trade associations. The emphasis of the workshop was very much on understanding what data countries could use to develop a model or forecast of current and future F-Gas demand, which is a vital fist-step in designing appropriate policies targeted at the most important sectors to drive change around leakage reduction, gas-choices and gas recovery. The Senegal team were already engaged in developing their country model and provided the conference with practical insight on the requirements of the system. What set this meeting apart from the Berlin event was that all the attendees were passionate about the need to address climate change and their contribution to this. I was very impressed by the knowledge, hard work and dedication of the UNEP/OzonAction folks from the Paris, Nairobi and Dakar offices, who organised the workshop. Amongst this audience, the urgency of tackling climate change was fully understood – indeed many of the participating countries are amongst the worst-affected by global warming. 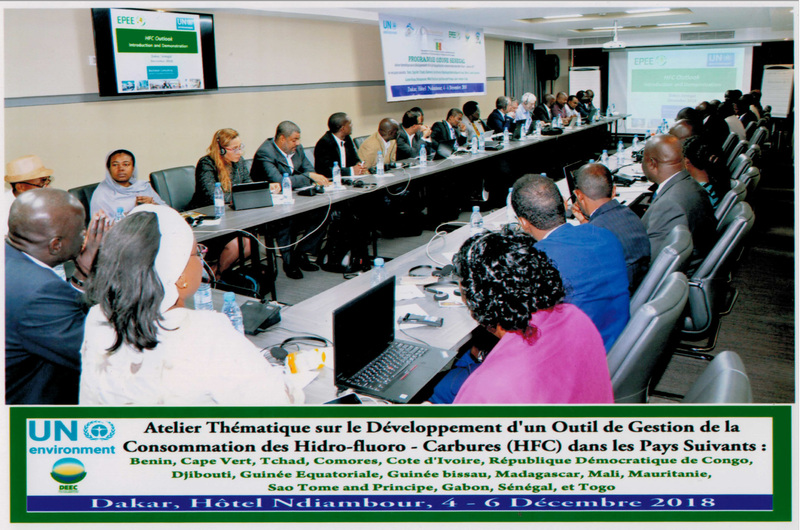 What was needed, the delegates reiterated, was considerable practical and financial support from rich countries to help develop national training and certification programmes for engineers to reduce gas leakage, to provide infrastructure for F-Gas recuperation (as opposed to venting to atmosphere), to provide the capacity within ministries and agencies to ensure compliance (e.g. training of customs and inspections staff). The participating countries are amongst the poorest in the world with institutions that are stretched financially with a multitude of development priorities. So what are my takeaways from these two meeting. First, I was struck by the lack of concern manufacturers I met in Berlin expressed about emissions reductions in their operations. That could either be because they feel the issue of climate change is firmly in hand or it could be because they missed the message from the latest IPCC meeting in Warsaw, stating that we have just 12 years to achieve a dramatic reduction in emissions. The truth is likely to be a bit of both. What is clear is that we need to much more forcibly put emissions reductions on the agenda of the private sector – something that can probably only be achieved through legislating targets or setting an effective carbon price; or through investor pressure on the companies. We really do all need to “wake up and smell the coffee” and realise that whatever we have done to date is simply not delivering emissions stabilisation, let alone reductions – global CO2 levels continue to rise. Nothing short of a profound operational and technological transformation will suffice to avoid the most severe (and business damaging) effects of climate change. For this to happen the senior folks such as the ones I met at EngTalk need to have this issue much higher on their to-do list with as very strong mandate from their organisations to act. Second, I was reminded that we – richer countries. who are responsible for the vast majority of greenhouse gasses that have accumulated in the atmosphere – have a duty to provide poorer countries with the money and expertise they need to deliver emissions reductions. Its not a question of a hand-out, but of self-interested assistance for these countries to skip the damaging steps in development which we as rich countries took in our past – mistakes like focusing initial energy generation on fossil fuels or replacing CFC’s with even greater global warming potential HFC’s. On a positive note, both meetings demonstrated that we have people who are able to make change happen. Indeed the EngTalk executives seemed extremely competent at managing profound change in their organisations, while many of the Dakar participants were part of a process – arguably the most successful multilateral environmental action in history – which delivered CFC reductions and restored the Ozone layer. In the former case these amazing executives need motivation and mandate to act, in the latter these national teams need resources and expertise. Both of these requirements are solvable, leaving me somewhat optimistic but also anxious for us acknowledge the inadequacy of our current situation. Please share this post and help get the message out. My free book “Energy and Resource Efficiency without the tears – the complete guide to adding value and sustaining change in an organisation” describes how efficiency measures add substantial value to organisations and why capability and motivation are key to folks being able to take effective action. Do check it out.